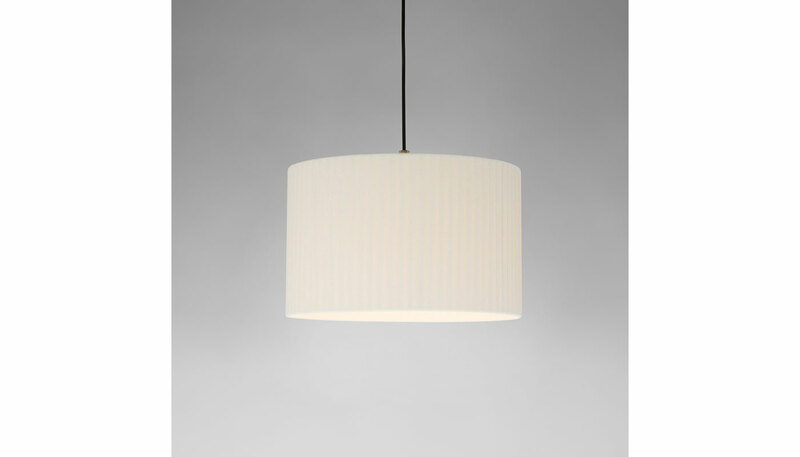 Ever since the company’s inception, Santa & Cole has been developing this simple, highly versatile system for assembling individual pendant lamps, formed by several types of canopies for the ceiling which are prepared in a range of finishes for better suitability, and with a choice of shades of varying sizes, shapes and materials. The Sistema Sisisi PT2 is available in stitched beige parchment or natural ribbon. The canopy is available in white, black or satin nickel. UL listed. Manufactured by Santa & Cole. Shade Dimensions: 10.5" Diameter, 6.6" H, Drop length: 17.6'-124"